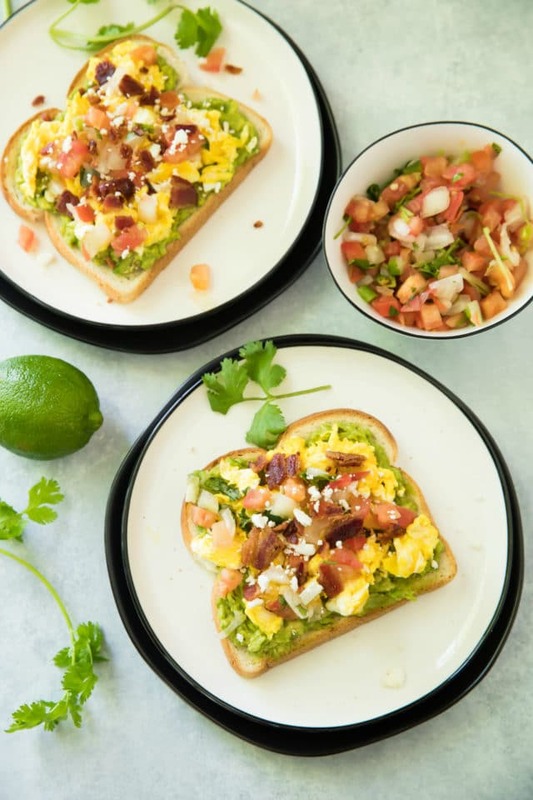 This Mexican Egg Bacon Avocado Toast is simply one of the best breakfast solutions of all time. It’s made in less than 10 min from start to finish, and is super delicious with endless options. Have you jumped on the avocado toast bandwagon? Yes? Well, enjoy my favorite avocado toast recipe idea! Last year I discovered the wonderful world of avocado toast. I don’t know why it took me so long to try this trend, but I’m so glad that I did! Avocado toast is absolutely delicious. It’s my go-to for a quick and easy healthy breakfast. I love that it’s so versatile and can be topped with a variety of ingredients. Let’s talk about my Mexican Egg Bacon Avocado Toast. It starts with the new, thick-sliced Pepperidge Farm Farmhouse® Hearty White Bread. You guys are going to love the now softer texture and fresh from the oven taste. 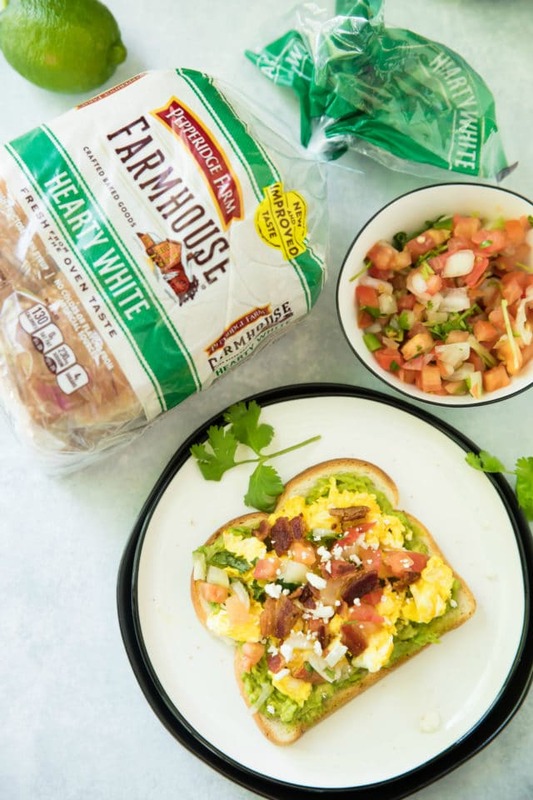 From toast creations to sandwiches, Pepperidge Farm Farmhouse® Hearty White Bread is my go-to. Not only is this bread beyond tasty, there are no added colors or flavors from artificial sources. There’s also no high fructose corn syrup to worry about. 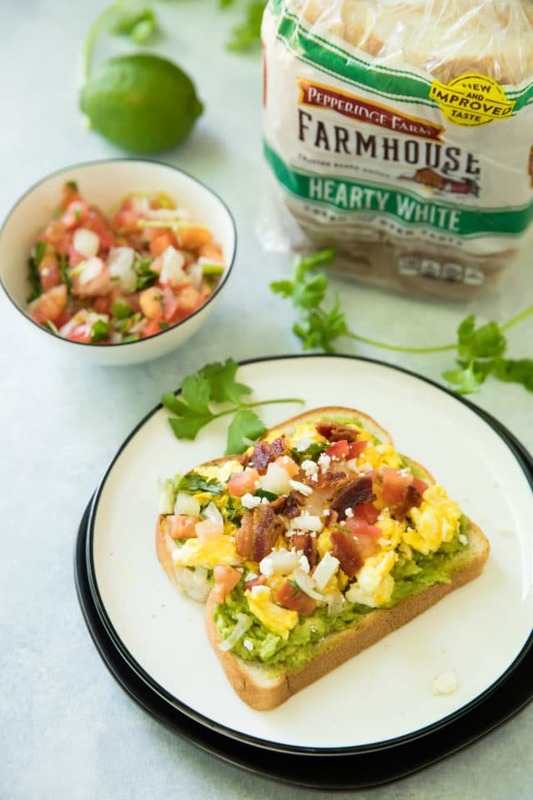 You can pretty much top your toasted Pepperidge Farm Farmhouse® Hearty White Bread with any of your favorite Mexican-inspired ingredients for a yummy breakfast, lunch or snack. 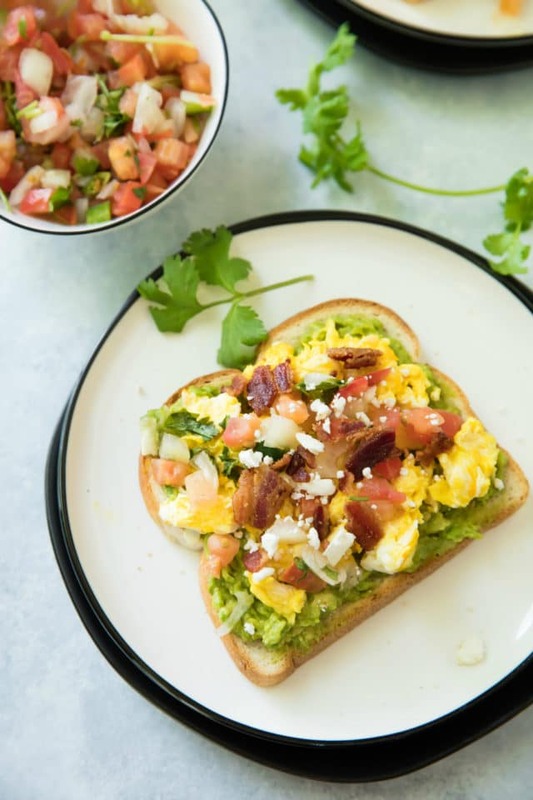 But read below for my tips on recreating my favorite Mexican Egg Bacon Avocado toast! 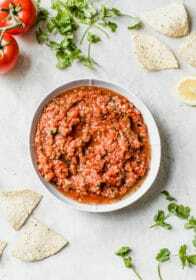 Buy pre-made Pico de Gallo. This can often be found in the produce department of the grocery store. Make and crumble bacon the night before. Make avocado mash the night before. Store in the fridge and drizzle with lime or lemon juice to prevent browning. Be sure Pepperidge Farm Farmhouse® Hearty White Bread is nice and toasty. I push mine down twice in the toaster. Change up the toppings to include your favorites. Options are endless! A delicious Mexican twist on the beloved avocado toast! This recipe comes together very quickly. Get everything out and ready! 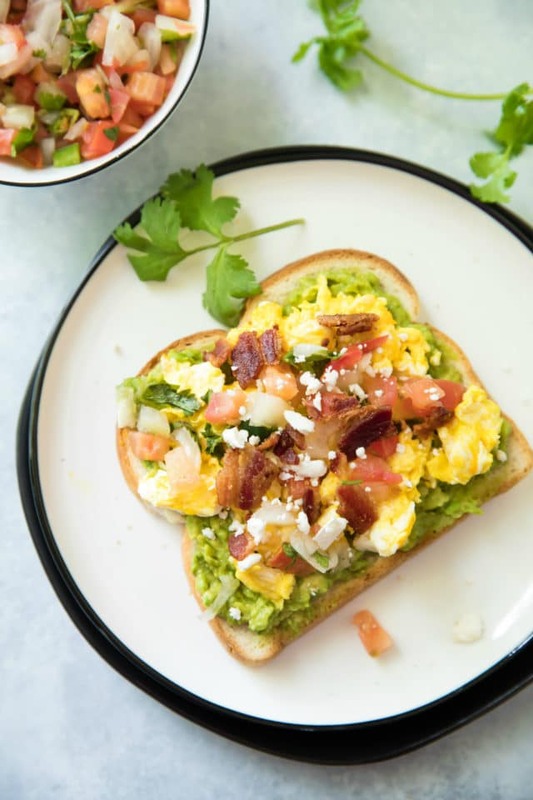 While bacon is cooking over medium-high heat, toast bread, scramble eggs and make avocado mash. To make avocado mash; cut avocado in half lengthwise, take out seed and scoop avocado out of peel with a spoon. Use a fork to mash the avocado. Add paprika, garlic powder and salt. Taste and add more seasoning as needed. 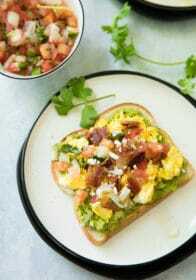 Once everything is ready; top bread with avocado mash, scrambled egg, bacon, Pico de Gallo and Feta. *Change it up by frying your eggs instead of scrambling. **For a vegetarian option leave out the bacon. ***For a dairy-free option leave out the Feta. Looking for more avocado toast ideas? Try my other avocado toast ideas. And don’t all of these options from The Kitchn look delicious?! Have you tried Pepperidge Farm Farmhouse® Hearty White Bread? It’s available at select locations. Use this store locator, to find it in your area. What are your own favorite ways to top avocado toast? It sounds good. I already make this sans the avocado. I don’t know why I’m the only person in my family who doesn’t eat avocado. The photos looks amazing. So tasty. I’m not huge fun of avocado and toast, my husband loves it, but I think I would like it in this combination. I would try it tomorow morning. I’m a huge fan of avocado toast. I’ll have to try this one out. I tend to love all things with bacon! This looks so tasty. I top my toast with all sorts of delicious things. I love avocado with my eggs and I can never get enough pico de gallo. We absolutely love avocado toast and eat it regularly! I’ve never tried it with the Mexican twist, I’ll have to make sure to do that. avocado toast is my favorite. for sure my go to all the time. 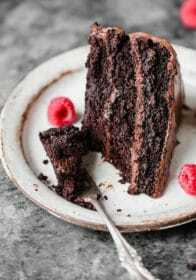 it is so delicious and easy to make in a pinch and to switch up. love this version. this looks so delicious! I’m gonna try it this weekend, thanks for sharing! This would be good right about now. It’s making my tummy growl. 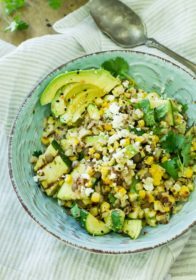 I’ve been trying to make recipes using more avocado in them. I’m not a big avocado fan, unless it’s in guac form. However, I know my husband would LOVE this, as he can eat them raw. This looks yummy. 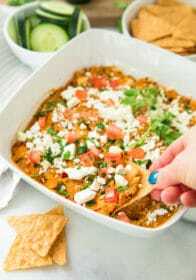 Since we have extra tortilla left over from burrito night and we don’t have bread slices, will be making this this weekend with a tortilla – breakfast burrito probably. I love eggs in the morning. I will try this sans bacon and with lots of avocado which I also love. 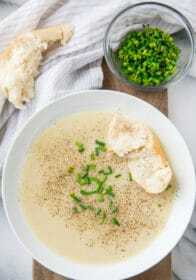 Nice recipe, will skip bacon and try the recipe for sure its very tasty…! Oh this gives me a huevos rancheros but with bread vibe. Definitely giving this a go. yum! It does sound like it would be such a delicious combination for breakfast. Bacon, eggs and avocado just sound so yummy. Add a little Pico and it’s just perfect.